- The Nymph Among the Hill Station. Contrary to the belief that Sir Hugh Mallet trekked to Matheran in the year 1850. The monkeys, supposed to be our ancestors, were the first settlers there. Making their presence felt all around the hill, they make you feel close to the nature with their antics amusing the children & the adults alike. Matheran is the Hill Station located at a height of 2635 ft. and is only a 100 kms. away from Mumbai Airport . Once you set foot on the red soil of Matheran where there is no sign of motor vehicles, you get completely enchanted by the serene beauty of this picturesque hill station. Matheran is the most tiny hill station in the world, only pedestrian hill station in Asia, and only one of the two Eco – Sensitive hill stations in India. So come and visit and take back ever lasting memories of a lifetime. 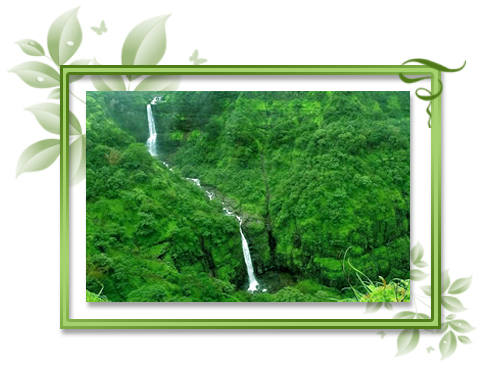 Matheran could be visited at any time of the year, including the monsoons, which have their own charm. A reason for the hill station still remaining so pristine is that no motor vehicles are permitted into the town; making it the only resort accorded that privilege in the country. During the monsoon they are at their best, with waterfalls gushing down step ravines and mists rolling into the valley.